Orean Place is a condominium project by Alveo Land in Quezon City. This is promising as one of the top new developments in Quezon City, which is already a well-developed urban landscape. It combines modern visual aesthetics with functional features so you can get the best of both worlds. This condominium not only offers the prestige of condo living but also satisfies your practical needs to enjoy a comfortable living experience. Since this real estate project is handled by Alveo Land, you can expect no less than world-class quality with its construction and amenities. 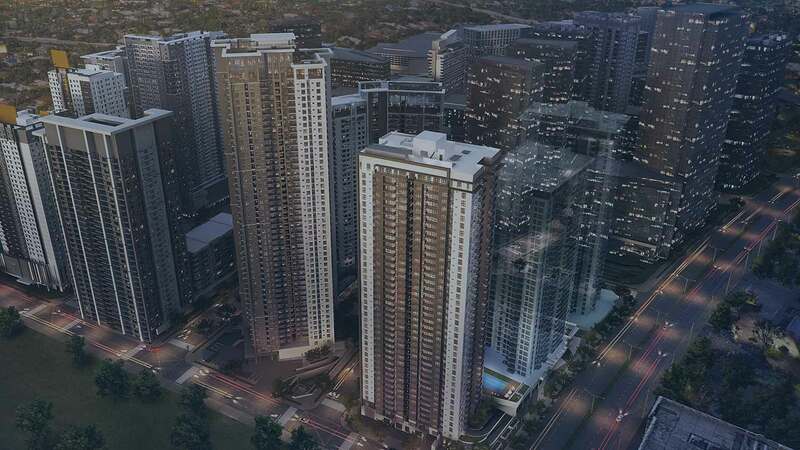 It is expected to add a new formidable choice in the urban landscape of Quezon City that is already filled with many high-end and modern condominiums. If you are looking for a high-end and modern condominium in Quezon City, look no further than Orean Place. Alveo Land has collaborated with world class designers and architects to build an intuitive design for this condominium building. Moreover, it is built with sustainable elements to ensure eco-friendly design. This has become a staple for Alveo Land properties – their focus on environmentally sensitive planning principles that offer protection for the environment and long-term sustainability. It is also integrated with contemporary facilities to ensure convenience for the maintenance staff and crew, along with the unit owners at Orean Place. Alveo Land takes pride in bringing Orean Place into the condominium landscape in Quezon City. Even though Quezon City is one of the major cities in Metro Manila, and as such is highly urbanized with several high-rise buildings, Orean Place stands out as it has all of the features known to Alveo Land properties. Alveo Land is a subsidiary of the Ayala Land, Inc. that was founded in 1995. This branch of the company is focused on providing housing solutions for the urban dwellers. Throughout the years, they have worked on upscale condominiums and master-planned communities that addressed the cosmopolitan lifestyle of young and business professionals. Among their key urban projects include Taguig’s High Street South Block and Marquee Residences. Alveo Land’s Orean Place ticks all the right boxes when it comes to the modern condominium features and design. It is located right next to another condominium building by Alveo Land in Quezon City – High Park Vertis. This is therefore a mini condominium complex consisting of high-rise condominium towers forming one complete address suited for the modern city dweller. Orean Place is currently in the preselling stage and has four unit types available to choose from. The four unit types available are as follows: studio, 1-bedroom, 2-bedroom, and 3-bedroom unit types. The Studio Unit is available at 33 square meters in floor area. Meanwhile, the 1-bedroom unit offers more living space than you would normally find in many condominiums in Metro Manila with 56 square meters in floor area. The 2-bedroom unit, on the other hand, offers a spacious 89 square meter of floor area. Lastly, the biggest unit available is suited for growing families with 3 bedrooms and up to 130 square meters in floor area. With four unit types available for purchase at Orean Place, you can enjoy flexibility with options. You can choose a unit type that can accommodate your needs based on the size of the living space and the cost of acquiring the unit. Hence, this also means that being able to live in the heart of Quezon City and be ideally located close to major businesses and schools does not have to be expensive. As of the moment, the final selling prices for these units are yet to be determined. However, you can expect competitive pricing as it is also a mark of the Alveo brand to offer affordable or reasonably priced housing solutions for the Filipinos. Orean Place is set inside the central business district of Quezon City. Hence, this high-rise condominium is going to be one of the most coveted addresses in the city as it makes every key landmark and establishment easily accessible. But the design and architectural details of Orean Place is truly what makes it stand out. The lobbies and units are interior-designed to ensure that you can experience the luxury living of a condo lifestyle and the coziness of your new home. This condominium also prides itself in offering eco-friendly features that enhance the sustainability of this building. If you like to support developments that are eco-focused, you will not be disappointed with this one. And knowing that it is also a project developed by Alveo Land is another reason to feel confident about your choice. Alveo Land Orean Place in Quezon City, Philippines is a premier Condo project available for sale. If you're looking to rent or purchase Orean Place, then check here first. We have full details of Orean Place updated regularly as well as everything you need to know about the availing and booking process, broken down into stages that includes selecting a unit, choosing a payment plan and buying your dream home at the right price. For price list, free site tripping or showroom visit, personalized service, model house, unit plans, floor plans, payment terms, CHAT LIVE with an agent 24x7. We are Remax Perfect Homes. Always only buy from PRC licensed Real Estate Brokers and Agents.